This was originally released in 1970 and has excellently been reissued by Akarma, who has released some box sets by classic artists such as Atomic Rooster, Ultimate Spinach, Toad, and Country Joe and the Fish. 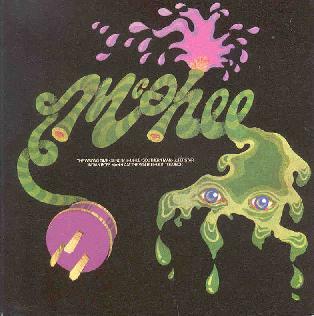 McPhee has nothing to do with Tony McPhee and the Groundhogs except that they play heavy rock that is Blues inspired. The band is fronted by female vocalist Faye Lewis, who sounds like a cross between Janis Joplin and Grace Slick but with no harsh edge to her voice. "The Wrong Time" is a great rocker. "Sunday Shuffle" is a standard R&B number. Next up is a cover of the Neil Young song, "Southern Man". Quite a good rendition with a nice jam. "Indian Rope Man" is next and is a great song with heavy guitars and organ sweeps. This song features some intense organ soloing by Jim Deverell followed by a wah guitar solo by Tony Joyce and then a drum solo by Terry Popple. You never hear drum solos on studio albums these days but back then it was not that uncommon. "Superstar" is a very 60s inspired psychedelic song, not unlike the Airplane. I was very surprised to see the song, "I Am The Walrus" by the Beatles on the CD. The band perform it as a psychedelic Blues song, which is pretty cool. The CD closes with the mostly instrumental "Out To Lunch", a song that starts as a laid back blues rock song and just takes off into jamming oblivion. A very enjoyable CD reissue from the classic days of old! One note, the company made a huge mistake with the songs timings quoted on the back of the CD.